Welcome to H3 Maths » Blog Archive » Racing at 2 million kms/hr! Hundreds of galaxies hiding on the other side of the Milky Way have been discovered by an international team of scientists. They were able to see through the stars and dust of the Milky Way, into a previously unexplored region of space using the Parkes radio telescope in New South Wales, Australia. 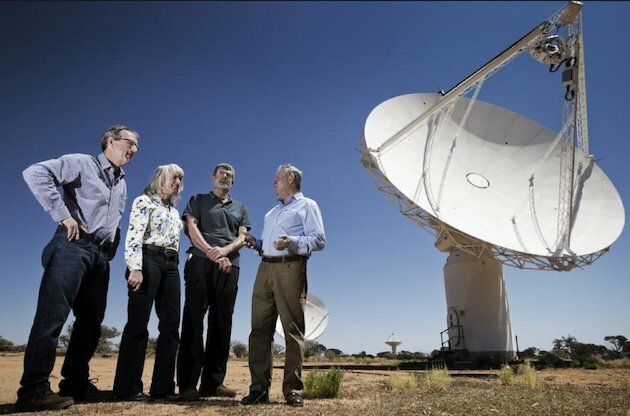 Lead author Professor Lister Staveley-Smith, from The University of Western Australia node of the International Centre for Radio Astronomy Research (ICRAR), said the team found 883 galaxies, a third of which had never been seen before. Professor Staveley-Smith said scientists have been trying to get to the bottom of the mysterious Great Attractor since major deviations from universal expansion were first discovered in the 1970s and 1980s. by James posted under Uncategorized | Comments Off on Racing at 2 million kms/hr!